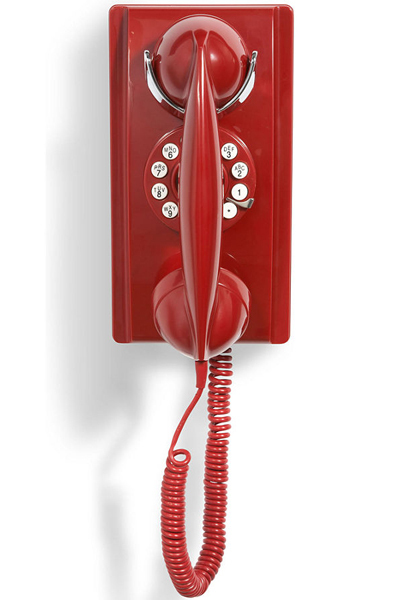 With the nostalgic look of a rotary dial paired with push-button technology, this Henry Dreyfuss-inspired Red Crosley Wall Phone will add a vintage look to your kitchen or living room. 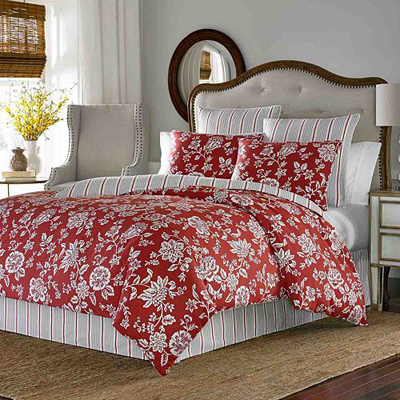 $100 Sale $49. Buy here. 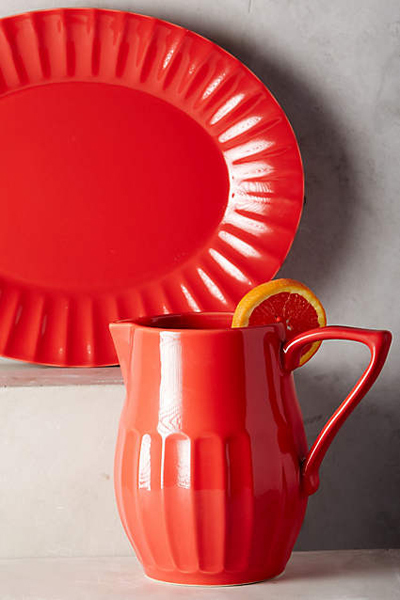 This Red Latte Serveware will make a statement at your next gathering. Made of earthenware. Dishwasher and microwave safe. $28. Buy here. 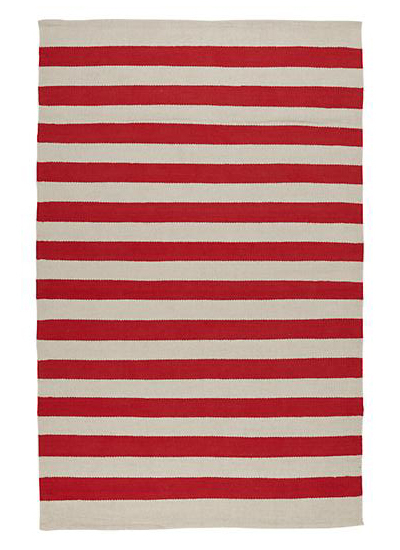 Intensify the cozy-chic appeal of any space with this soft, textured Blissliving Home Temi Throw trimmed with swingy fringe. $80. Free shipping. Buy here. 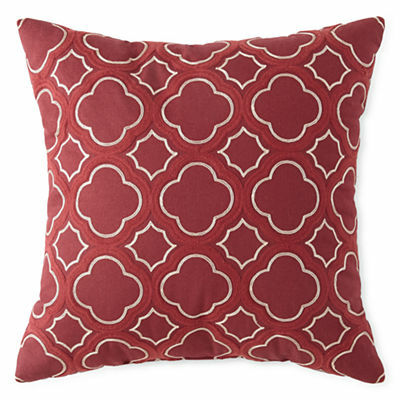 Geometric patterns cascade across the front of this Red Clover Trellis Decorative Pillow to add a small touch of style to your room. $50 Sale $29.99. Buy here. 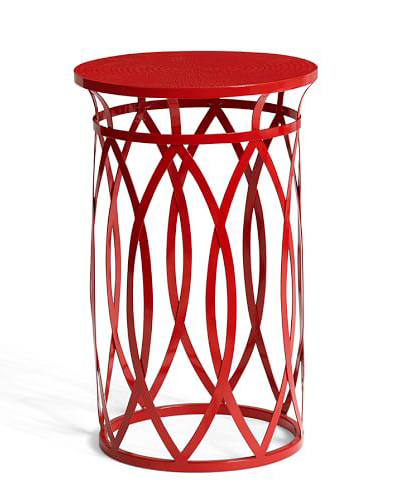 Rich color and airy latticework make this Ryan Red Wire Accent Table a fun and artful addition to any room. $99 Sale $64.99. Buy here. 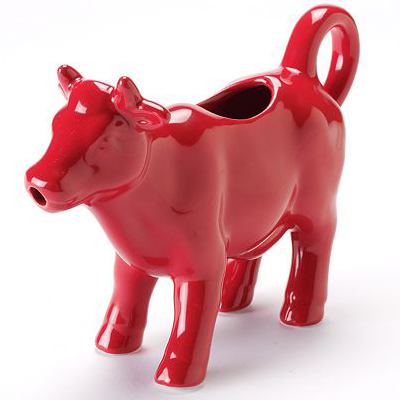 Add a stylish splash of milk to your guests’ coffee or tea with this Red Cow Creamer from Food Network. 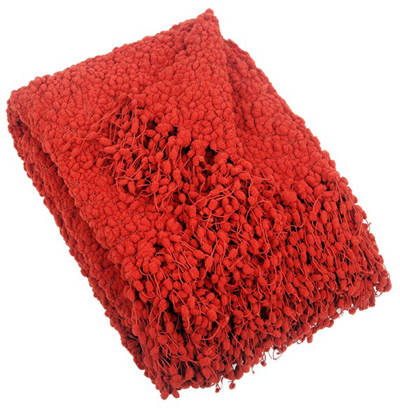 $8.99 Sale $6.29. Buy here. 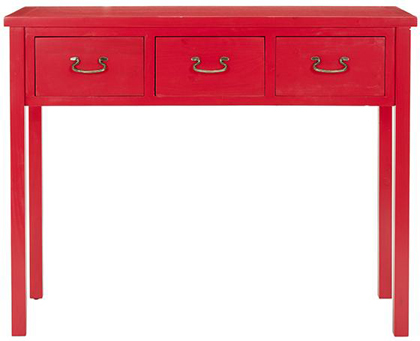 With crisp lines and ample tabletop space, this Red Josephine Desk is a stylish spot to sit and get things done. 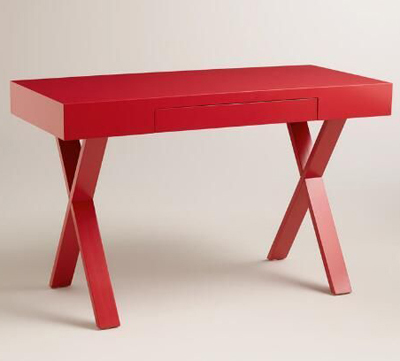 This vibrant desk features “X”-shaped legs and a handy keyboard tray for extra functionality. $199.99 Sale $99.99. Buy here. 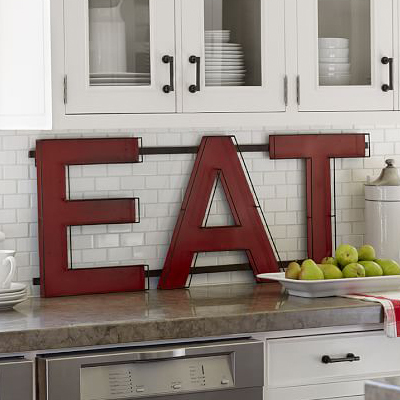 This classic Red Enamelware 16-Piece Starter Kit has all you need! 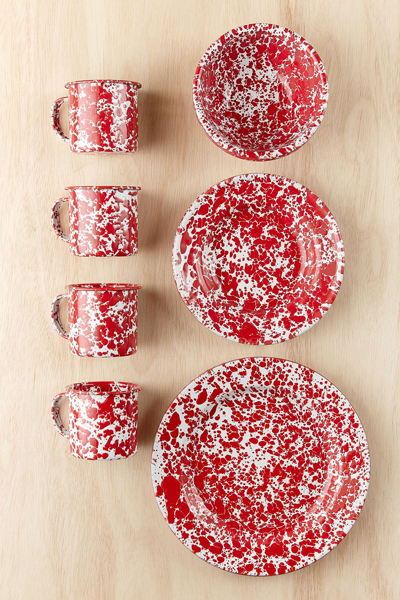 It includes four of everything: mugs, salad plates, bowls and dinner plates. Crafted from high-quality carbon steel coated with porcelain enamel, these pieces are built to last. 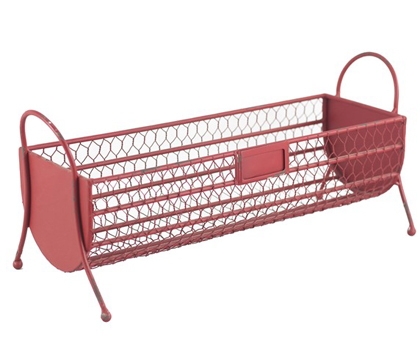 Oven, freezer + dishwasher safe, too! $99. Free shipping. Buy here. 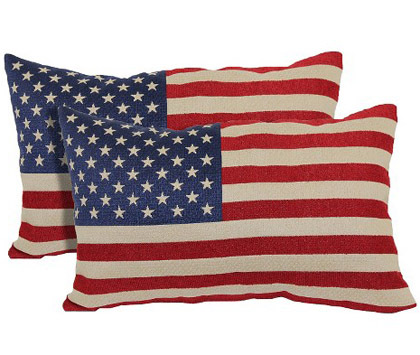 Show your patriotism with this this set of two American Flag Toss Pillows. Each lumbar pillow measures 21″ x 13″. $29.99. Free shipping. Buy here. 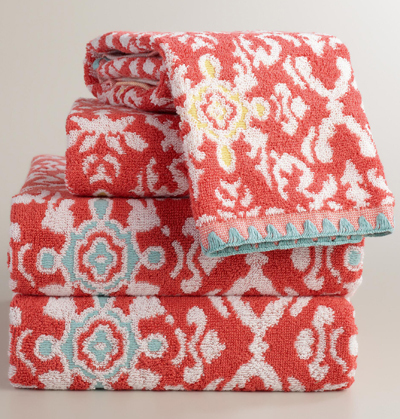 Accented with bright pops of aqua and yellow, this colorful Coral Jacquard Natalia Bath Towel Collection is crafted in Portugal of soft cotton jacquard and embellished with blanket stitch embroidery along the edges. $12.99-$19.99. Buy here. Tunes on the beach are a must, but who wants to get their technology sandy, salty and sunblock-y? 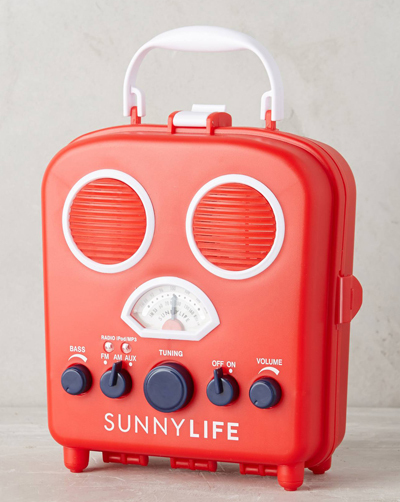 Tuck your MP3 player inside this Sunny Life Beach Radio, a water-resistant AM/FM speaker box for your worry-free listening pleasure. $49.50. Buy here. 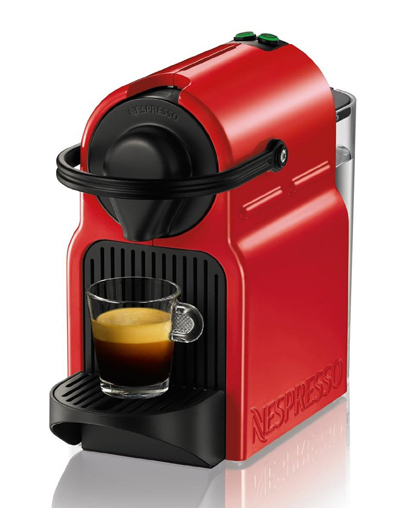 Tiny foot print, compact, lightweight and equipped with an ergonomic handle, the Nespresso Red Inissia Espresso Maker fits perfectly into any interior design. 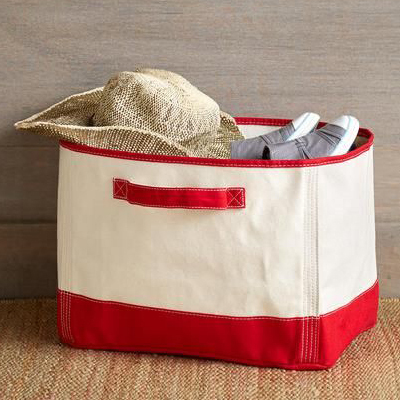 $129 Sale $110.49. Free shipping. Buy here. 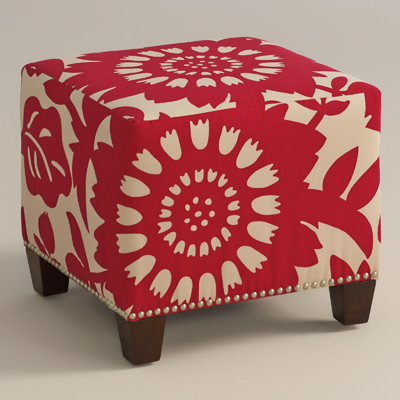 Give your entryway or living room a fresh look with a small console table. This Reese Console Table has a streamlined design that works in cottage, farmhouse and transitional decorating concepts. Crafted of solid pine wood, this console table with drawers boasts a beautifully lacquered finish. $339. Buy here. 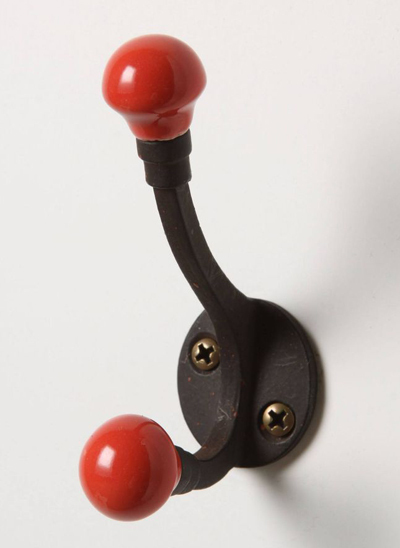 This Trolley Stop Hook features colorful ceramic buds that provide a pretty platform for favorite sweaters, purses, robes and more. $12. Buy here.